Atlantic Renewables are a proud professional installer of roof integrated, or ‘In-roof Solar’ systems. This type of system is quite becoming more common in new build properties, or with houses having a re-roof and is rapidly increasing in popularity with house builders due to its non intrusive design and extremely pleasing visual aesthetics. In-roof solar panel systems come with many benefits; as well as providing you with tax-free renewable energy, these panels integrate into the roof of your property seamlessly, acting as part of the roof covering. As well as being as hard wearing and as weather proof as normal roof tiles, the components of this system are extremely lightweight, meaning Atlantic Renewables offer a speedy installation process. Compared to standard on-roof solar panels, there is no need for extra roof tiles or racking underneath the array, meaning that any repair work does not warrant the need to decommission the panels to reach the roof tiles underneath. Being part of the roof panelling also means no risk of bird infestations, which can cause damage and effect the performance of your entire solar system. Currently, with all new-build properties and extensions, government regulations require that roof tiles are fixed with nails or clips, and with previous solar installations, this meant more time consuming work to remove roofing, placing and fixing solar panels, and then re-roofing as needed. In-roof solar panels can easily be installed before the new roof is placed, and as the solar array mounts slide over one another and fix into place, meaning they are completely weatherproof and the lightweight. The recyclable materials of these panels do not add any extra weight to the roof of your property. 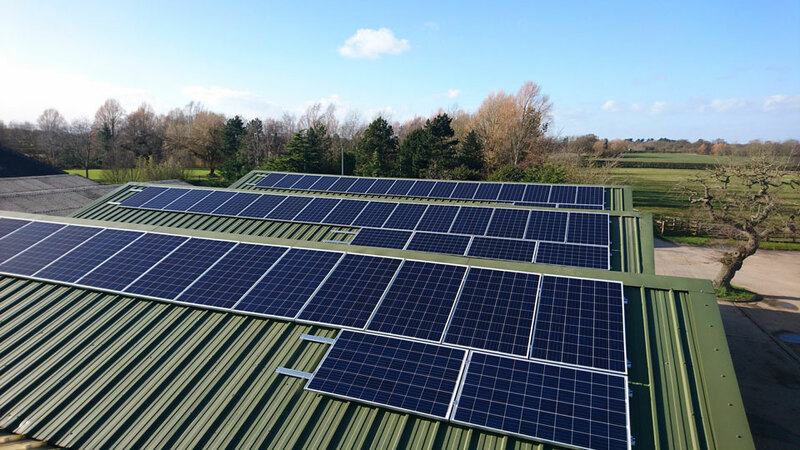 In-roof solar systems also meet current SAP and local planning permission standards, meaning a hasslefree, cost effective and straightforward install. SAP is a standard assessment procedure to rate the energy efficiency of buildings. The only official government rating system, SAP ensures that any new build or new additions to existing properties comply with government regulations. Installing solar panels on any new build property provides a great way to meet the energy efficiency requirements of building regulations. Atlantic Renewables offer SAP compliant work on all our solar panel installs. As a fully certified solar installation company, Atlantic Renewables provides a BBA approved and MCS certified product, and as we also provide professional roofing services, we can provide a comprehensive in-roof solar system install for your home or place of business in Greater Manchester. If you are a house builder or building company, give the Atlantic Renewables team a call on 0161 207 4044 for expert help with design, commissions and install on your new build or property renovations. Atlantic Renewables started the new year with our first in-roof solar install for our client Matt in Sale. Matt opted for 8 Longi 2.4kW panels in a sleek, all-black. The Atlantic Renewables team finished off this install within one working day, we were able to fix the panels into place with the correct flashing and aprons, ready for our clients roof to be placed without hindering the process or any possible damage to the solar system. In the ten years that Atlantic Renewables have been installing solar panels around Manchester, we have found that some people are put off by the appearance of solar panel arrays on the roof of their buildings, especially domestic properties. 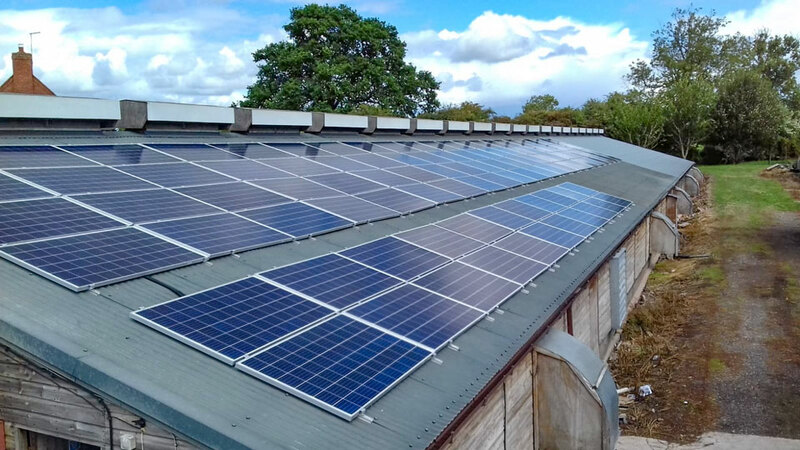 With in-roof solar systems the panels are integrated as part of the roof of the property, these integrated panels provide our customers with a weatherproof, robust and extremely discreet finish to their solar system. In-roof solar panels are fixed as part of the roof covering, giving the appearance of a velux window. We installed a Solis inverter for Matt, who is a house builder himself. Matts property now has a renewable energy supply in line with SAP (standard assessment procedure) and government energy efficiency standards for years to come, without compromising the aesthetic look of his roof.